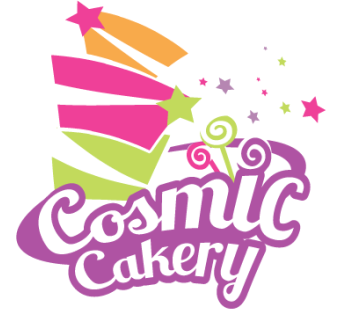 I am the Owner and Head Cake Artist of Cosmic Cakery. As Head Cake Artist, I invent recipes, bake, sculpt, and decorate cakes that are pieces of art. My pastry bag is my paintbrush, and flour, sugar, butter and other edible ingredients are my palette. I find inspiration in the world around me. Nature provides new designs for gum paste flowers and chocolate leaves; the trim of a gown provides details for the next wedding cake; the rise of a new cultural trend offers ideas for cakes and deserts that have never before been seen or eaten. 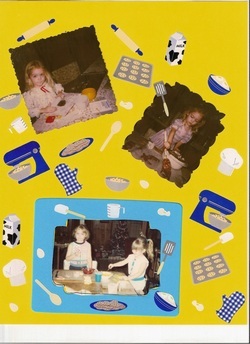 I have had a passion for baking for as long as I can remember. From a very young age, I was taught the fundamentals of baking. My mother taught me to crack one egg at a time and until this day, whether a cake requires 3 eggs or 30 I still crack each one separately to ensure the best quality before placing in the batter. Today I have taken my passion for baking and turned it into a life long dream of owning my own bakery. I combine my passion for baking, fundamentals, and exquisite artistic ability to create delicious and beautiful edible art. My one wish for every Cosmic Cake is that you not only see the passion that goes into it but also taste the "LOVE". I would like to Thank all of my many customers and fans for helping turn my dream into reality! In return I strive to make you the best cake possible each and every time!